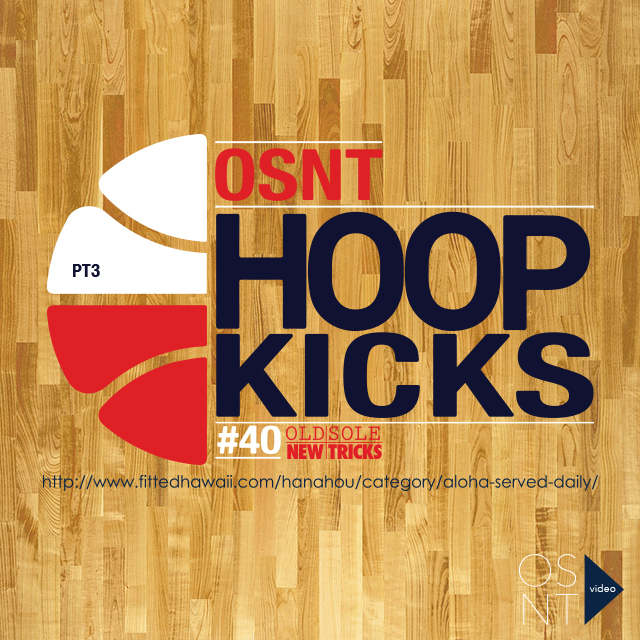 Today’s OSNT features the last part of the “Hoopin’ and Sneakers” video interview series… I know it was long, but I really wanted to emphasize that there’s importance in knowing what you’re wearing… Whether you like shoes for their technical aspects, history, etc., all self-titled ‘sneaker enthusiasts’ should have a basic knowledge of what they’re enthused about, right?! haha. Anyhow, I’ve been noticing a plethora of new running sneaker consumers bandwagoning the market lately… Just a few words: As long as you grow genuine, I won’t be upset at you making my chances harder at getting releases I want. lol. Besides all the good runners dropping, I feel JB is starting to mellow out a bit due to their willingness to over-saturate a ridiculously stretched market. Are we soon approaching the end of a full circle? SB love slowly reviving? …We shall see! P.S. – To the very few of you who repeatedly stumble upon these OSNT posts for a midweek kick, I’d love to hear all your ideas / criticism / thoughts, or even see cool photos pertaining to sneakers… OSNT has been a fun and interesting learning experience thus far and I will never shy away from growing its enjoyability for all of you… jared@fittedhawaii.com Cheers! Old Sole New Tricks // Balling and Kicks PT 3 from Kash Akamu on Vimeo.